Explore, Learn, Have Fun! : Cheap Summer movie fun! We love going to the movies, but it gets so expensive! That's one of the many reasons I love summertime, when we can see some family-friendly movies for a great price. So many theaters offer lower-priced tickets for families. There used to be lots of free movies, but now the ones around here cost a little something. Still, it beats full price! Here are a few of the theaters participating in summer movie fun in 2014! 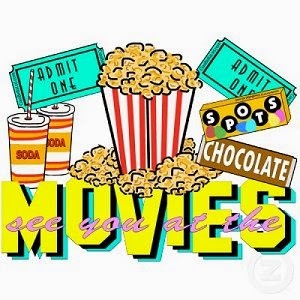 Summer Movie Clubhouse - admission is $1 per movie at the door, or buy a 10 movie punch card for $5. Hope you find some close by to visit this summer. We're already putting our must-see movies on the calendar! I didn't know STudio Movie Grill had $2 movies. Awesome!! Thank you for this information, I didn't realize a lot of these Theater Companies offered such great deals. I have never been to Stone Mountain before so I would love to go. Weight Watchers Recipes & an ACE special! Mixin' it up at the dinner table!